Let's ring in 2019 together! 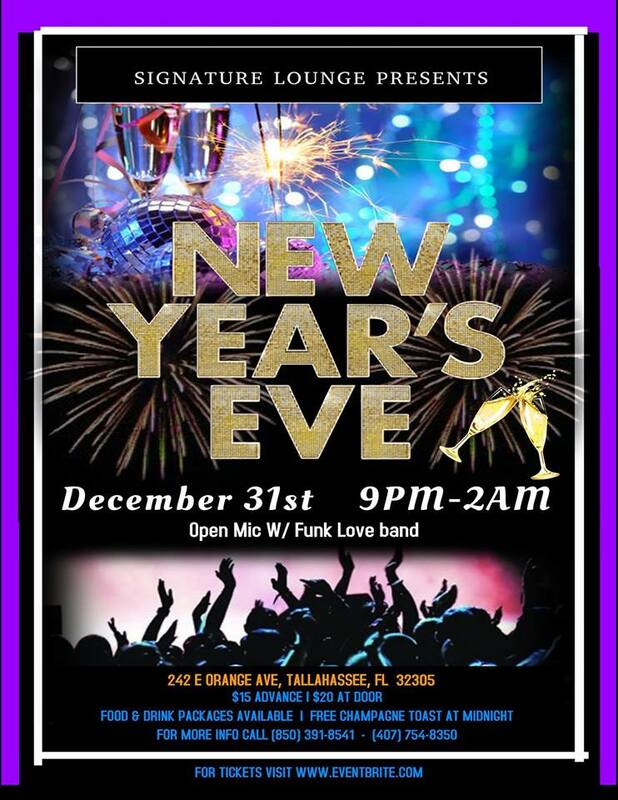 We'll be grooving to the sounds of the Funk Love Band & DJ Sleepy! We want you here to help light up the night! Contact us for Table Service Packages or more information. * 21+ only with valid ID. Prices subject to change at the door (only). * Dress (to Impress) Code Strictly Enforced.